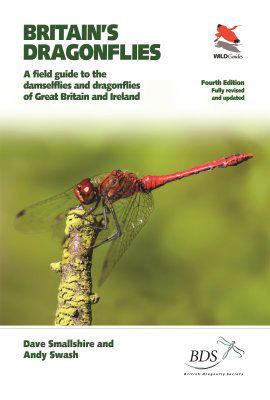 The only comprehensive photographic field guide to the damselflies and dragonflies of Great Britain and Ireland. Britain’s Dragonflies is the only comprehensive photographic field guide to the damselflies and dragonflies of Great Britain and Ireland. Written by two of Britain’s foremost Dragonfly experts, this fully revised and updated fourth edition features hundreds of stunning images and identification charts covering all 57 resident, migrant and former breeding species, and six potential vagrants. The book focuses on the identification of both adults and larvae, highlighting the key features. Detailed species profiles provide concise information on identification, distribution, flight periods, behaviour, habitat, status and conservation. Other sections cover biology; how to watch, photograph, record and monitor Dragonflies; conservation status and legislation; and introduced exotic species. Dave Smallshire is an ecologist, lecturer and wildlife tour guide, and plays an active role in the British Dragonfly Society. He formerly worked as an environmental adviser to the UK government. Andy Swash is an ecologist, a renowned wildlife photographer and tour leader and managing director of WILDGuides. He is the coauthor of five other books in the WILDGuides Britain’s Wildlife series, and has written and edited many other titles.